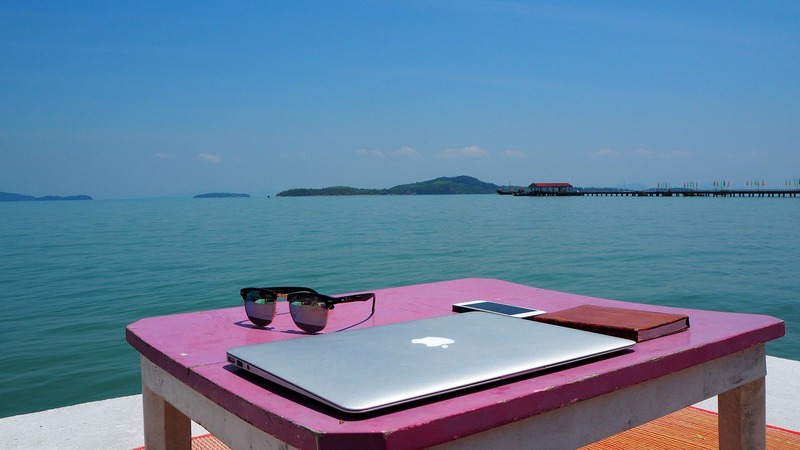 There really is no escaping it – we live in an age of truly mobile working. As the leader of a global team, my job has been made a lot easier by technology, as I’m better able to stay in touch with remote colleagues and to collaborate at a distance, whether it’s through video conferencing or cloud computing. But of course, the many advances in technology also have a downside – for many, it has become increasingly difficult to switch off (literally) from work, just as it has become easier to work everywhere and at all times of the day. With that last point in mind, I’m starting this round up of essential tools for working on the move not with a piece of technology – but with a mental ‘tool’: that of self-discipline. So, my first piece of advice to anyone who has a job that requires them to travel a lot or to work out of the office regularly is to be firm – both with yourself and with those you work with. Avoid checking your work emails in bed. Learn how to put your automated out of office reply on your phone if you’ve planned in some free time away from work. And trust your team to do the tasks you’ve given them without the need for you to constantly micromanage while you’re travelling. So – that said – what are the tools that I wouldn’t do without when I’m working on the move? Here’s a pick of just a few of my favourites. Obviously, our smartphones are going to rank right at the top of those tools that make working on the go a lot more straightforward (they can also be a huge distraction, but that’s another discussion). I could have picked many of the apps on my phone that I use every single day – Evernote pushed this one close – but Things really stands out for me. It’s not cheap – USD$9.99 for the iPhone version – but for me it certainly lives up to the developer’s billing of a ‘personal task manager that helps you achieve your goals’. I’ve tried a lot of different task management apps and techniques, and I’m more than willing to acknowledge that finding the right way of working through your daily jobs and completing projects is often a matter of personal taste. But I’ve found that Things really fits the bill for the way I work, especially on the move. It syncs seamlessly with the desktop version, so that tasks I’ve added or completed on my phone will show up straight away when I open up my laptop. Most of all, I like the way it doesn’t force a particular productivity system on you – you can always arrange tasks and projects and set reminders in a way that suits you. It’s certainly prevented me from forgetting crucial tasks plenty of times. Clearly, working on the move often requires you to send and receive business critical or sensitive customer information that you don’t want falling into the wrong hands. One of the best ways to ensure that you will always have a safe and secure connection to the rest of the business’s computer network is to set up a Virtual Private Network (VPN). VPNs use encryption technologies to create a virtual encrypted route between your computer and a VPN server – meaning that any data you send is protected from prying eyes. Now, some providers of this service are definitely more reliable than others, and I’d suggest that you do your own due diligence into what any particular provider is offering – but a reliable VPN connection is something that no mobile worker should be without. Imagine a packing system that allows you to immediately see exactly what you need – one where you can open your carry-on bag for the plane and instantly lay your hands on a pen, or your phone, or your lap top – without having to root around through lots of tangled cables or crumpled files. Well, it exists – I have to say I was absolutely delighted when I discovered Grid-It. It’s essentially just a lot of elastic bands in a bag – but they’ve been so cunningly arranged that they will quickly and easily secure whatever it is you’re packing with out any problem. A brilliantly simple solution to one of the most enduring challenges of working on the move – how to keep your stuff organised and accessible. Maybe not as fancy as some of the items on this list. Projector converters for connecting laptop to VGA or HDMI projectors are a staple of my travelling arsenal. I am constantly using them on the road for meeting with colleagues and presentation to prospects and clients, they’ve even become part of my final check before I leave the house! Phone, keys, wallet, projector converter…. There you go – just a few of the essential tools that I use when I’m travelling for work. The key with all of them, I’ve found, is not to lose sight of what you actually need them to do. It’s easy to be drawn in by the technology itself – especially with apps – and to forget that they are essentially tools that need to work, and work in a way that makes your life easier. So, try them, and see if these ones work for you.